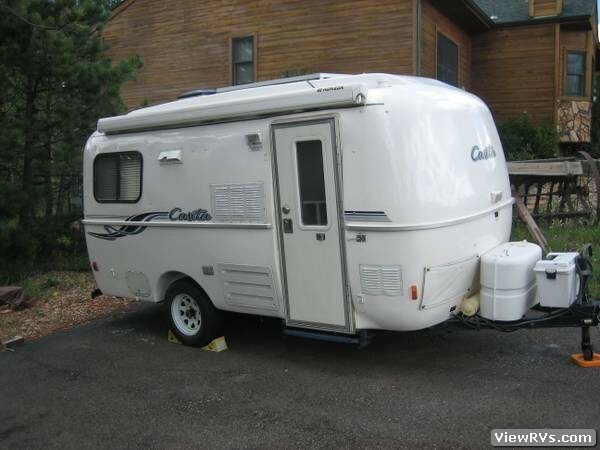 1999 Casita Spirit Deluxe 17' Travel Trailer Exhibit "A"
Excellent condition. Clean and shiny inside and out. Known for light weight - easy pull. 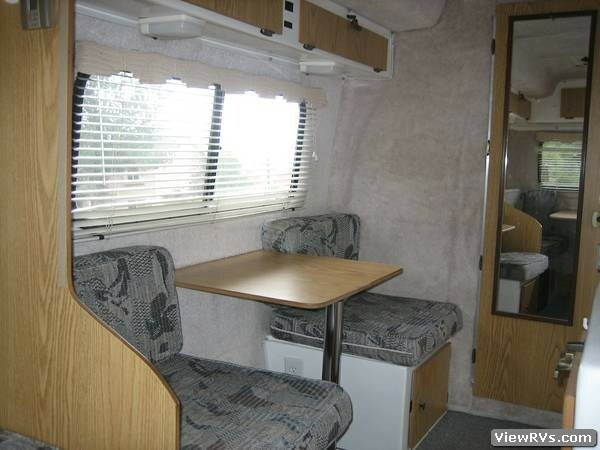 Large dinette makes full bed. 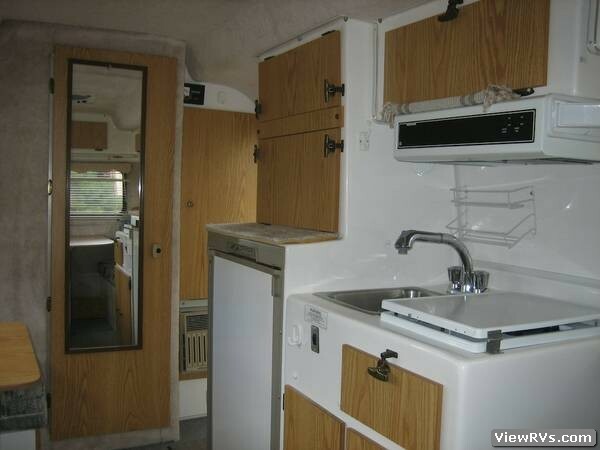 Side dinette makes single bed. 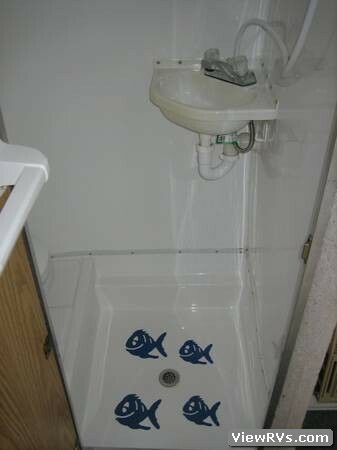 Bathroom with toilet, shower and sink. 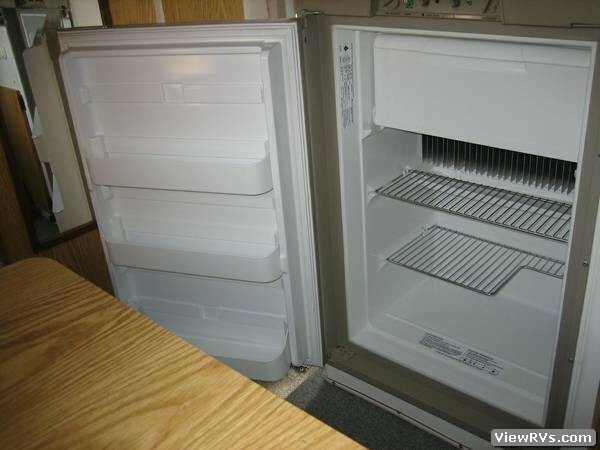 Stovetop and large 3 Way Refrigerator, Elec/Gas water heater, AC and Awning. Electric brakes. 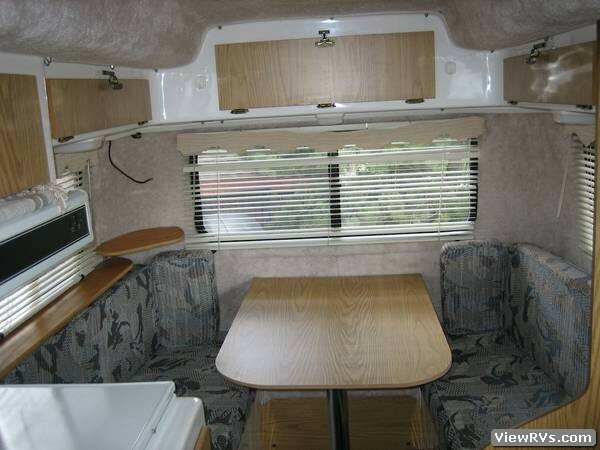 All standard equipment plus: 70 watt solar panel, plumbed for included catalytic heater, Fantastic Fan Roof Vent. 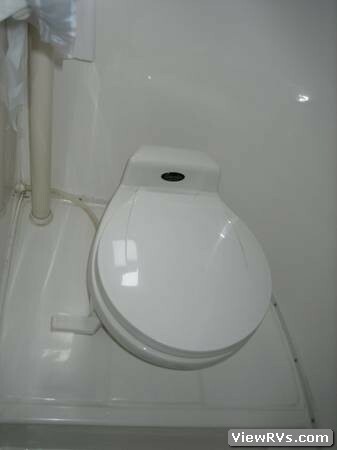 Includes the hitch and sway control. Comes with all manuals. 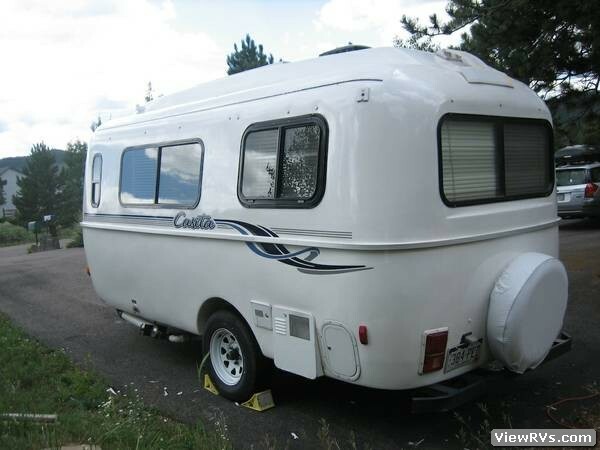 Small enough to fit in many tent camping sites, yet fully self contained. Source of easy great getaways.